We've got a fun blog hop for you at STAMPlorations this month - we're celebrating winged things in Spring! Every Wednesday in April we'll have some fabulous inspiration for you, and the hop will remain open until the 30th. 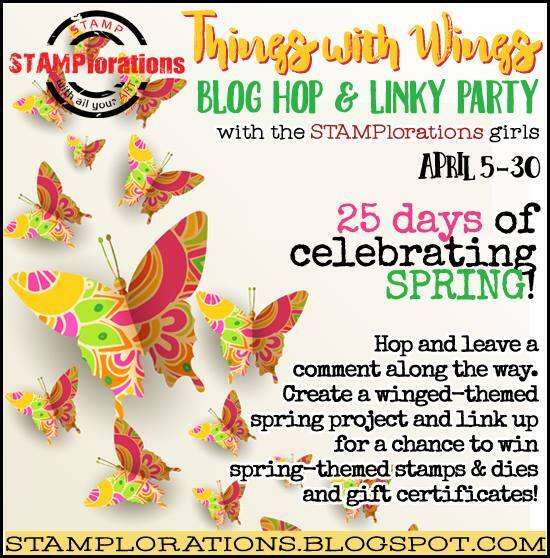 That gives you plenty of time to comment on the hop stops, and to create your own winged things to enter into the hop for a chance to win stamps, dies and gift certificates. Today I've used the Flutter Zen 1 two-part die set. The black card is slightly pearlised. You could always add Wink of Stella to pearlised matt card. 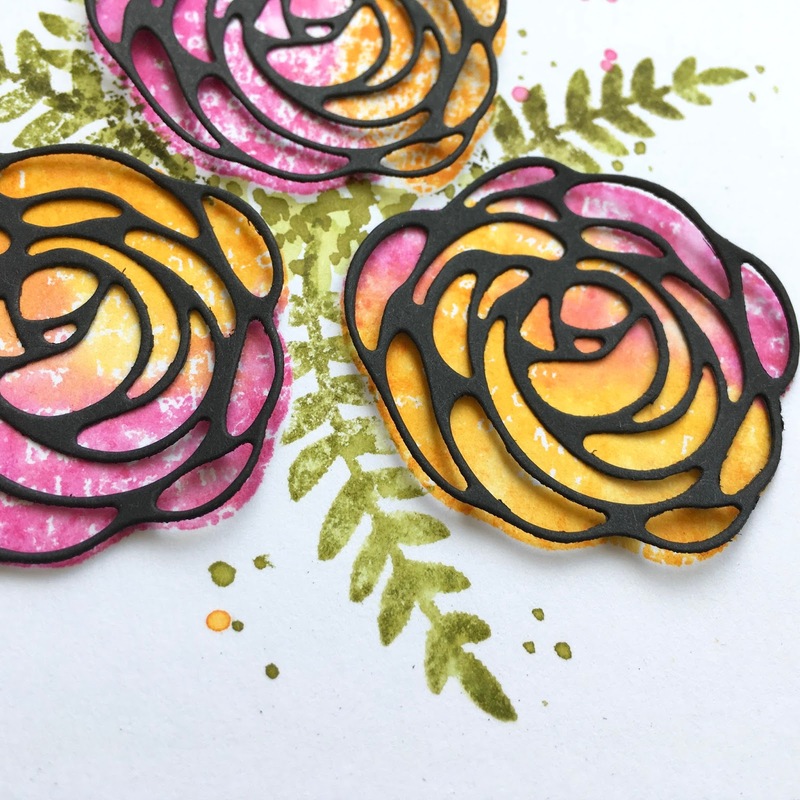 Pop on over to the STAMPlorations blog for some more fabulous inspiration from the team, and play along to win! Stunning creation!! How pretty is that butterfly :) love the design and how you've colored it. So wonderful, love this spring release! Swoon, swoon, swoon! Love your gorgeous butterfly...LOVE! 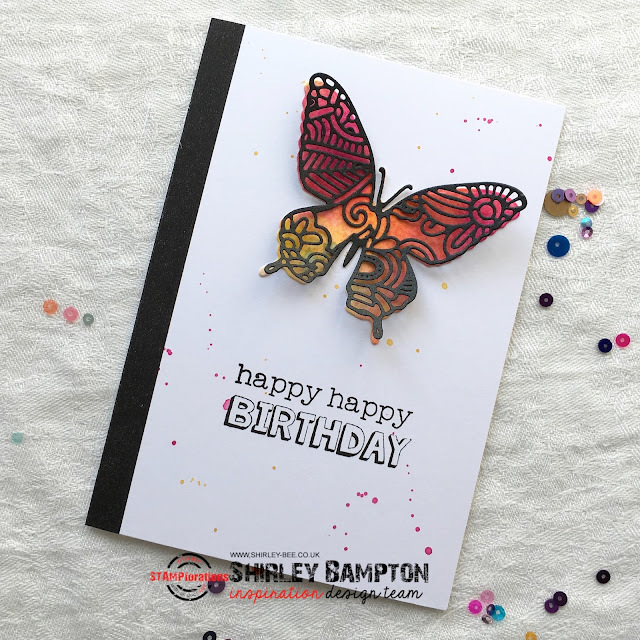 Love the combo of the black and the rainbow on your butterfly. Fabulous card! Love the simplicity, yet stunning! Great card. . .love how your colors contrast with the black and white of this card. Like how the color is carried throughout this card with the spatters. So, so pretty. I love the black over the water coloured background. Gorgeous card! Love the butterfly. LOVE your CAS design, ADORE your layered butterfly, the colours really POP through the DELICATE shimmering black! The delicate bg look is perfect for this beautiful butterfly. So pretty! 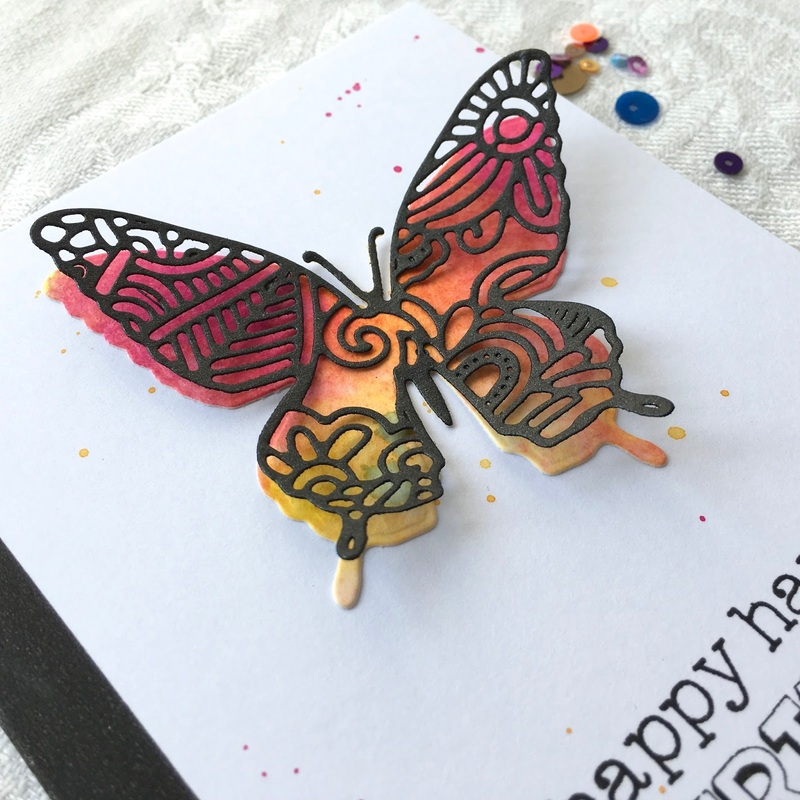 These layering butterfly dies are so elegant and I love what you did with the base layer. 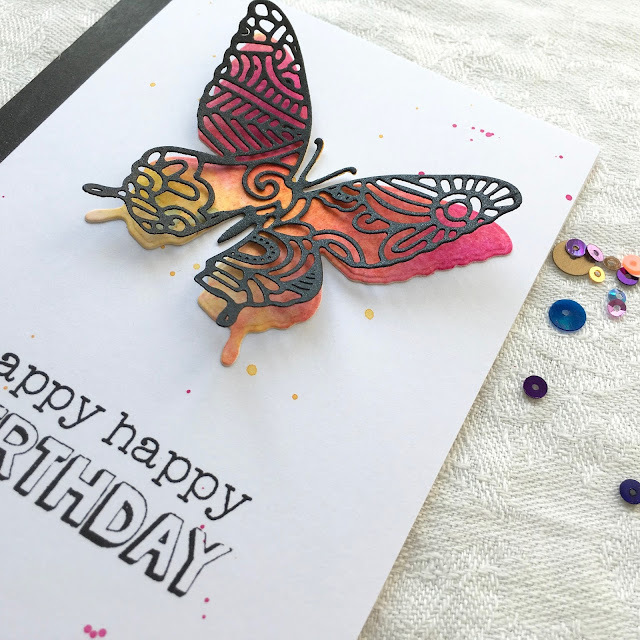 I love this butterfly card - so pretty! So pretty! love that die set!